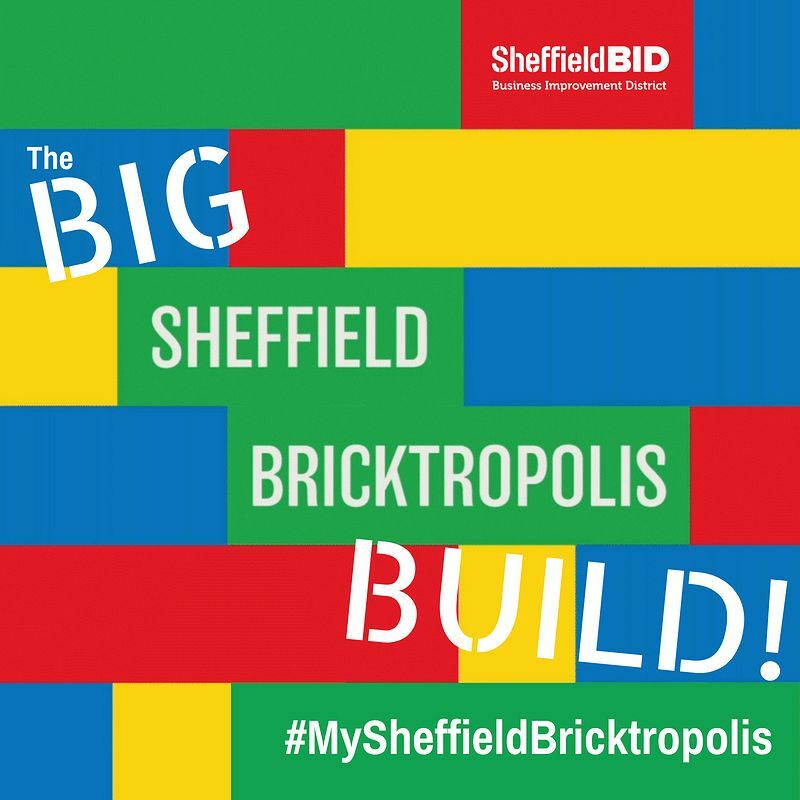 Get creative and build your Sheffield, as Sheffield Bricktropolis lands in the city 4-17 August. Do you think you’ve got what it takes to become the champion builder of The Big Sheffield Bricktropolis Build? To celebrate the arrival of Sheffield Bricktropolis on 4-17 August, we want you to show us what you’re made of. Using LEGO® bricks, we challenge you to create a structure, be it big or small, that you think represents the Sheffield that you know and love. Use your imagination to create something that stands out from the crowd. Whether you love Henderson’s Relish, the city’s unique architecture, or it’s people. It could be a Blade, Owl, Steeler or Shark – Cocker, Turner or Hawley. Build The Outdoor City, the Steel City – your city. We want to see Sheffield represented in LEGO bricks! To enter this competition, simply post a photo of your creation with your name and age on either Twitter or Instagram, and explain in no more than two sentences, why you think your creation describes/shows your Sheffield. Don’t forget to use #MySheffieldBricktropolis to share your masterpieces with us! And remember, if you spell the hashtag incorrectly, we won’t see it, so check your spellings. To make things fair, we are splitting entries into two age categories – under 14s and those aged 14 and up (including grown-ups!). Lucky winners will receive a Sheffield Gift Card, which can be spent at more than 80 businesses in Sheffield city centre. To find out where you can spend, visit www.sheffieldgiftcard.co.uk. All entries must be submitted by no later than 4pm on Sunday 26 August – good luck! This competition is open to entrants of all ages. Entrants under the age of 16 must have the consent of a parent or guardian to post/enter the competition. Entries made on behalf of others will be accepted. Entrants aged under 14 will be entered into the children’s competition. Entrants aged 14 and above will be entered into the adult’s competition. Both competitions will end at 4pm on Sunday 26 August. Your Bricktropolis creation must be your own original build, and not one from a LEGO® set. It must use LEGO bricks only. You may enter as many creations into the competition as you wish – all will be judged separately.